Did you know you can install your new lawn in winter? Although installing lawn in the warmer months is the optimal time, you can most definitely install your lawn in winter too. There are even a few benefits to doing this! A benefit in laying a new lawn in winter is lower water usage; in the cooler months, you will not have to water your new lawn anywhere near as much compared with the warmer months as the days are not hot enough to dry out your new turf and mother nature helps us out with a few showers here and there. Whilst it still needs some water, you can virtually halve your water usage by laying turf in winter and still maintain a healthy lawn come spring. Another benefit is you wont have to mow your lawn until the weather warms up. This comes in very handy as the winter months have shorter days and weekends filled up with sport and other activities which makes it much harder to find the time. Just keep in mind, when laying a new lawn in winter the lawn will not root down properly until the weather warms up and it starts growing again. This doesn't mean anything is wrong, and your lawn isn't dying. It is simply sitting idle until it gets some warmer temperatures so it can fully establish. So if you are interested in installing your lawn in winter give us a call on 9303 2627 to discuss your options. If you haven't done too much research we can help you out, we have a number of turf varieties to suit any budget, use and look. If you’ve got a thatch issue going on, it’s a great time over the next month or so to get in a couple of low-mows (the other best time of year is at the end of Spring). A study carried out by the University of Western Australia a few years’ ago, compared different types of renovation for turf and they found that the results from a ‘hard-mow’ or ‘scalping’ was just as good as scarifying, coring, or grooming when it came to dethatching a lawn. This should only be done a couple of times a year and works only for warm-season grasses like our DNA Certified Sir Walter Buffalo, Nullarbor Couch, Eureka Kikuyu and Velvetene. (NB. it should be avoided for cool season grass types). If your lawn feels ‘spongy’ to walk on then it may be time for such drastic action. For more lawn care tips visit Lawn Solutions Australia. Velvetene Lawn is Perfect for Perth's Sandy Soils and Salty Coastline. Velvetene is a luxuriously textured soft, dense leaf lawn, a stunning bright pea green colour, with an attractive shiny leaf to give that 'wow' factor. Developed as a superior soft leaf lawn for Perth's harsh climate and varied soil conditions. An environmentally friendly grass that can be watered with poor, low quality or recycled water. A highly salt tolerant halophyte turf grass. Superior Lawns is proud to be the only producer of Velvetene in Western Australia. Likes a sunny position (minimum 4 hours) and will also grow under dappled shade. A unique benefit is to control weed infestations with a strong salty solution spray (1kg pool salt in 5 litres of water) rather than using herbicides. Velvetene makes an ideal family play area in the home garden and is used on golf courses from tee to green, tennis courts, bowling greens and parks throughout Australia. 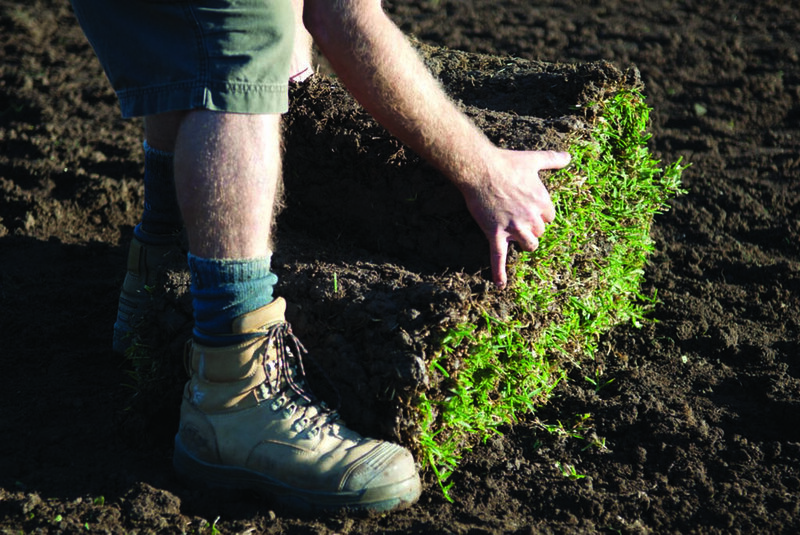 Call us today on 9303 2627 for more information on our Velvetene turf or to place your order.